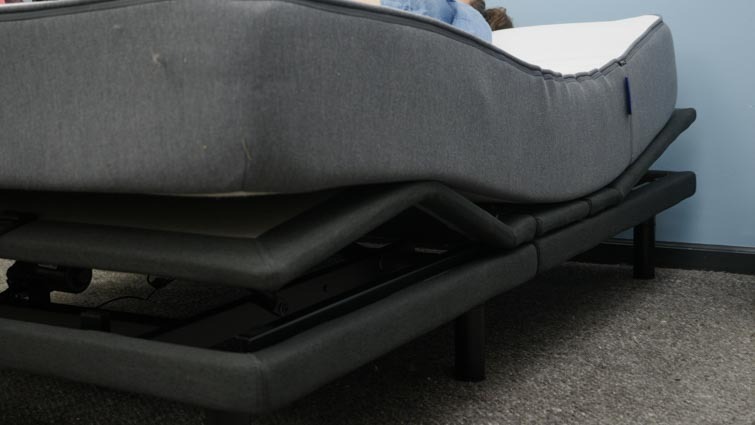 Casper Adjustable Bed Frames - Reviewing the Standard and Pro Models! Many of you are probably already familiar with the super popular bed-in-a-box brand Casper, and I’m sure you’ve all seen our reviews of Casper’s mattresses, sheets, and pillow (right?). But today, we’re going to focus specifically on Casper’s adjustable bases. I said bases because Casper offers two different adjustable bases — the Adjustable and the Adjustable Pro. And guess what? We’re going to take a close look at both of them. Keep reading to learn more about how each one works, how they differ, and which one might be the best fit for you. Click this link to head over to Casper and learn more about the Standard and Pro adjustable bases! Before I get into all the fun features each Casper base has to offer, let’s talk set-up. It took me (and a few of my super strong co-workers) about 40 minutes to assemble each base. I am pleased to report that both bases come with very easy-to-follow setup instructions, and the only tool I needed was an allen wrench (for bolt tightening). However, it’s important to note that both bases are mostly made of metal, and are very heavy. So, as you unbox your base, I strongly urge you to enlist the help of some friends. Should you decide you want to skip the heavy lifting, Casper does offer a delivery service. 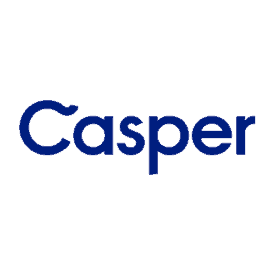 With the standard adjustable base, the delivery service costs an additional fee of $149, but the folks from Casper will assemble your new base, and remove your old bed frame as well. If you purchase the Adjustable Pro, the delivery service is free (so, if I were you, I’d take advantage of that!). 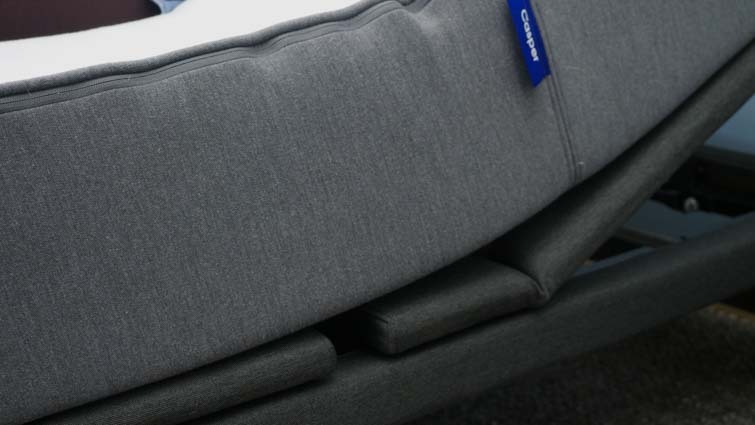 The Casper mattress on the Casper Adjustable Pro. I did test both of these bases using the Casper mattress, but it’s not necessary that you do. However, the folks at Casper say that these bases are most compatible with foam mattresses, and using an innerspring mattress is not recommended. Each base comes with an Owner’s Manual that not only details exactly how to set everything up, but it illustrates what each button on your remote does as well. Speaking of the remote, let’s take a closer look at what these Casper bases can do, shall we? 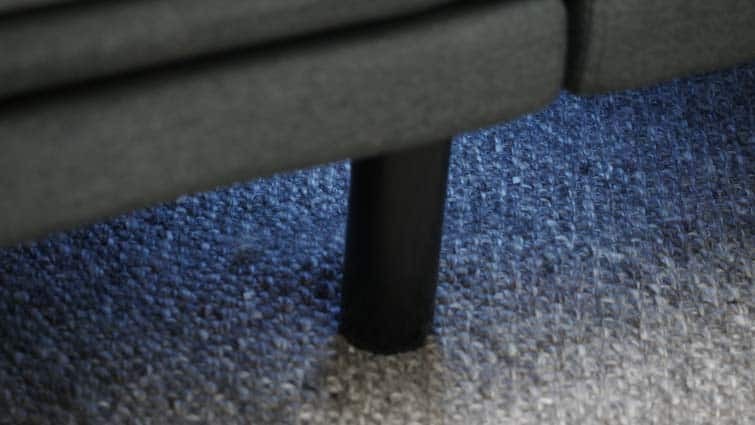 How Does The Standard Casper Adjustable Base Work? Both of Casper’s adjustable bases are operated by using a remote control, but the functions of each model are different. First, let’s take a look at the standard base. 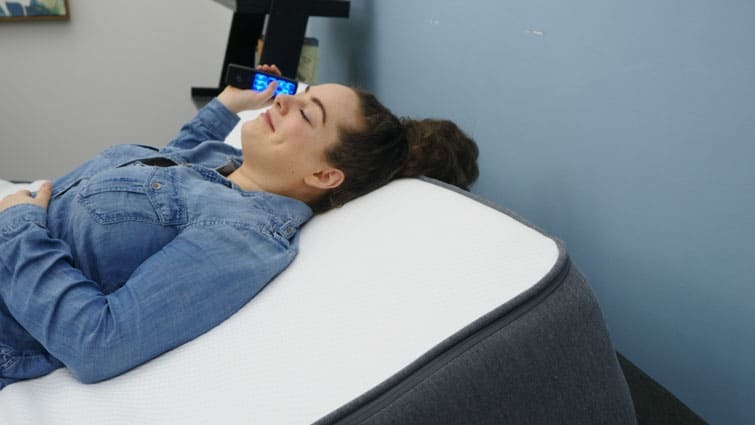 Once your base is set up, and your mattress is on the frame, all of the features are accessed using the remote. And you’ll be glad to know that the remote is already synced and ready to use (two AAA batteries are included). Remember: if you’re ever unsure about which button does what, there is a labeled picture indicating exactly what each button does inside your Owner’s Manual. The primary function of this base is full-body adjustability, meaning you can raise and lower the head and/or foot of the base until you find your perfect position. Raise the head of the base by clicking the upward arrow on the button that reads, “head.” To bring the head back down, simply hit the downward arrow on the same button. As you might have guessed, the same rule applies to adjusting the foot of the base (use the button that reads, “foot”). Using the remote to find my comfort zone! When you’re adjusting the head or foot of your base, hold the button down until you’ve reached your desired angles. When you do find the perfect base position, you can save it to your remote using the button that reads, “mem.” Personally, I think this feature is particularly handy because all you have to do is press one button, and your base will jump right to your favorite position. Unfortunately, you can only save one position at a time, but you can update it as often as you like. When you want to save a new position, just press and hold the “mem” button for 5 seconds. 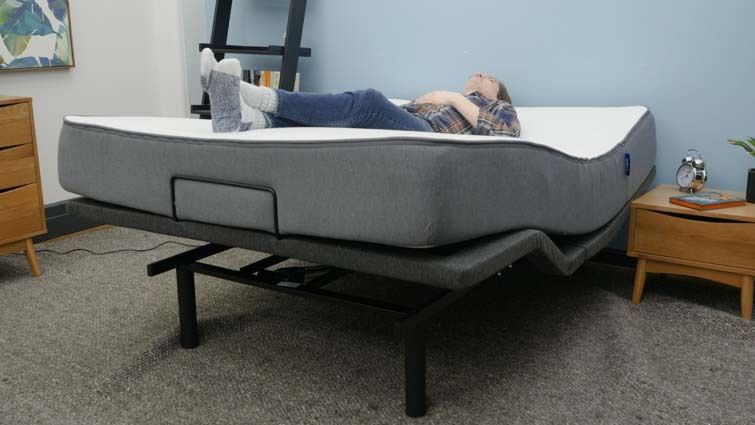 Additionally, this adjustable base comes with two positions preset by Casper — Zero Gravity and Anti-Snore. Push the button labeled “Zero-Gravity” only once, and the base will automatically move to a position meant to make you feel “weightless.” This position angles both the head and foot of the base in a way that enhances blood circulation, and offers great pressure relief for your whole body. I’ll admit that Zero Gravity is my favorite preset position, but sleepers who are often disrupted by snoring might be most fond of the Anti-Snore position. Essentially, pressing the “Anti-Snore” button just slightly raises the head of the base so that sleepers are not lying completely flat. Elevating your head helps to alleviate snoring by keeping your airways clear for better breathing. Cody enjoying the Zero Gravity position! One of my favorite features of this base actually has nothing to do with changing positions. 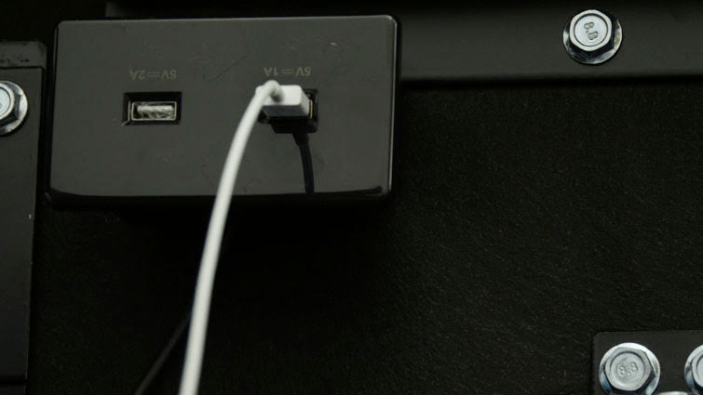 There are two USB ports on the underside of this base, allowing sleepers to charge their phones or other smart devices. I don’t know about you, but I think it’s pretty cool that we live in a time when your bed can charge your phone. Okay, we’ve seen what the standard adjustable base can do. Now let’s take a look at what the Pro is all about! What About the Casper Adjustable Pro? Let me start by saying that the Casper Adjustable Pro can do everything the standard model can do. But there are some extra special features that come with the Pro. Wall-hugging technology allows you to raise the head of the bed without pulling away from the wall. Essentially, the base will extend so that it’s “hugging” the wall without creating a big gap. This might be especially handy for sleepers short on space! I’m sure you’ve already guessed what the massage feature does, but did you know you can enjoy three different modes and levels of intensity? Activate the base’s massage settings by pressing the “head” and “foot” buttons without arrows (at the bottom of the remote). Feel free to enjoy the vibrations in head and foot simultaneously or separately, and press the “mode” button if you want to change the intensity or rhythm of the vibrations. Enjoying the headrest tilt function and a foot raise at the same time! The two buttons at the very top of the remote access the headrest tilt function. Press the button with the UP arrow to make only the top of the head of the base tilt upwards. With the Pro, there is a movable zone at the head of the base that is not featured in the standard model, and it’s meant to just prop the sleeper up a bit without adjusting the entire head of the base (imagine stacking some pillows behind your head). When you want the headrest tilt to go back down, just hit the DOWN arrow. Lastly, if you hit the button featuring a picture of a lightbulb, the lights under the bed will illuminate. On Casper’s website, this feature is said to offer sleepers a little guiding light when they want to wander around the room at night. Of course, they’re not wrong… but my favorite part about the under-bed lighting is the ambiance it provides. The lights emit a warm glow that reminds me of lit candles, and it really gets me in a sleepy mood. Which Casper Adjustable Base Should I Buy? Now that we’ve seen what each Casper adjustable base can do, let’s recap the highlights so you can decide which is the right one for you. Customizable Positions — Adjust this base to your heart’s content, and when you find a position you love, you can save it to your remote! Casper Preset Positions — Two base positions have already been preset by Casper — one to alleviate snoring, and one to enhance blood flow and relieve pressure in your body. Charging Station — USB ports allow sleepers to charge their smart devices without ever having to leave the comfort of their beds! Using the base’s USB ports to charge my phone! Massage Settings — Sleepers can enjoy full-body vibrations, or isolate the massage to the head or foot. Additionally, you can play around with different levels of intensity. Wall Hugging Technology — The head of the base glides near the wall rather than extending away from it. This way, there isn’t a big gap between your base and the wall. Headrest Tilt — Want to find a cozy balance between lying down and sitting up? Instead of using a bunch of pillows to prop your head up, just use the headrest tilt feature! Under-bed Lighting — Whether you’re trying to illuminate your path or ignite a little bedroom ambiance, the under-bed lighting emits a warm glow. 30 Night Trial Period — Both bases offer a 30 Night Trial period. If, during those 30 days, you decide you don’t want your base, reach out to Casper. They will work with a local charity or recycler to get your base removed, free of charge. Once they have confirmation that the pickup has been completed, you will be refunded. 20 Year Limited Warranty — For both bases. Full details on Casper’s website. Base Height — The Adjustable (standard) has three leg height settings of 5 inches, 7 inches, or 12 inches for a maximum height of 14.8 inches. The Adjustable Pro has four settings of 3 inches, 6 inches, 9 inches, or 12 inches for a maximum height of 16.3 inches.